The newest addition to the Oblo family from Krups comes in a eye catching red. 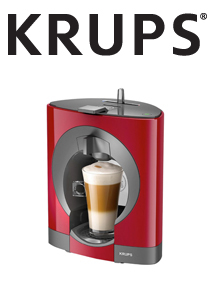 KRUPS are one of the biggest names in coffee right now. The KP110540 has 15 bar pump pressure and a 0.8L tank capacity. This capsule machine will brighten up your kitchen all year round.